As your plane cruises at an altitude of more than 30,000 feet, you will know the moment you are entering Bhutan’s airspace. You will be greeted by never-ending snow-capped mountain peaks and ranges. 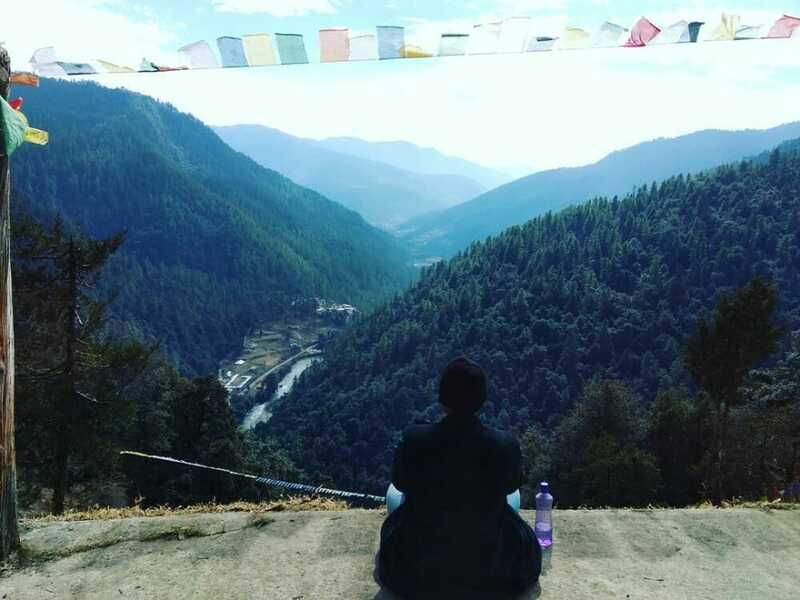 This is the start of your 8 Nights Bhutan Trip with Phobjikha Valley & Chele La Pass Haa. Once you touch down in Paro, Bhutan’s only international airport, our local specialist guide will meet you and introduce himself. We will immediately go for a 1-hour drive to Thimphu, the capital of Bhutan. The first thing we’ll do in Thimphu is to check in at your hotel and take a short break. You will then have the rest of the day to explore and enjoy the city on your own. 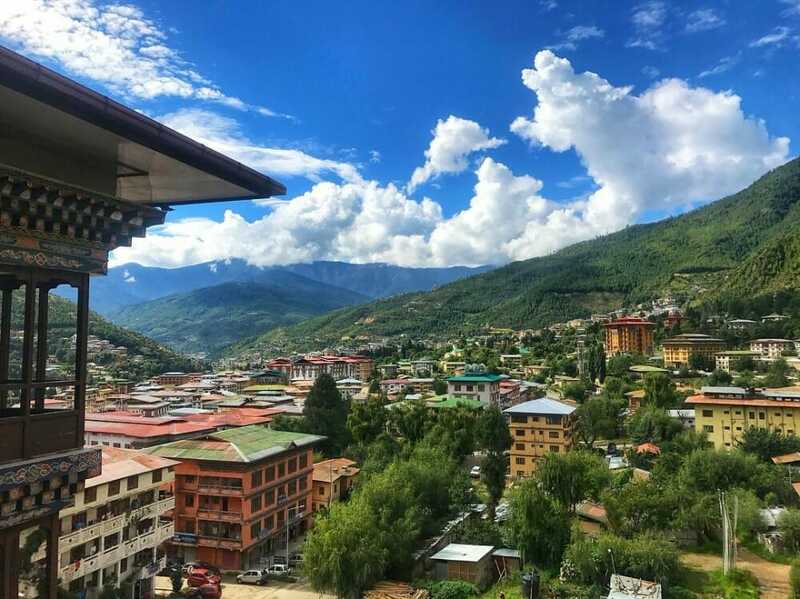 You will soon realize that Thimphu is massively different from most developed countries’ capital cities such as London (UK), Washington DC (USA), Berlin (Germany), Paris (France), Singapore and even developing countries’ capitals like Kuala Lumpur (Malaysia), Jakarta (Indonesia), Bangkok (Thailand). The 1st night of your great Bhutan journey will be spent here in Thimphu. Enjoy it. Once you have your breakfast befitting that of a ‘king’, we will proceed for the second day of our 8 Nights Bhutan Trip. We will go for a 30-min drive (12km) to the north of Thimphu Valley for our first attraction, the Tango Goemba Monastery. We are confident that this 1st Bhutan trek will justify some of your total Bhutan trip cost. The Tango Monastery trail is 300m (one-way). It should take you 30-mins if you climb the more challenging shortcut and 1 hour for the standard trekking path. Hence, this 2-way trek, including the monastery visit, should take you around 2 hours. We’ll take a break by having our Bhtuanese lunch in a local restaurant. The second half of our Thimphu tour will resume with a visit to Thimphu’s School of Arts and Crafts. Here, you can appreciate the artistic works done by the local students. You will also have the chance to witness real sculpting, drawing and engraving in action. Next on our Thimphu tour route would be the Folk Heritage Museum. This museum is a replica of the traditional Bhutanese farm house. You can examine up close the structure, interior and the customary Bhutanese way of life. Our Bhutan excursion will continue with a visit to the Motithang Takin Preserve. The preserve is a nature sanctuary for Bhutan’s national animal, the Takin. Later, you will drop by the Buddha Dordenma statue, one of the world’s largest Buddha statues. 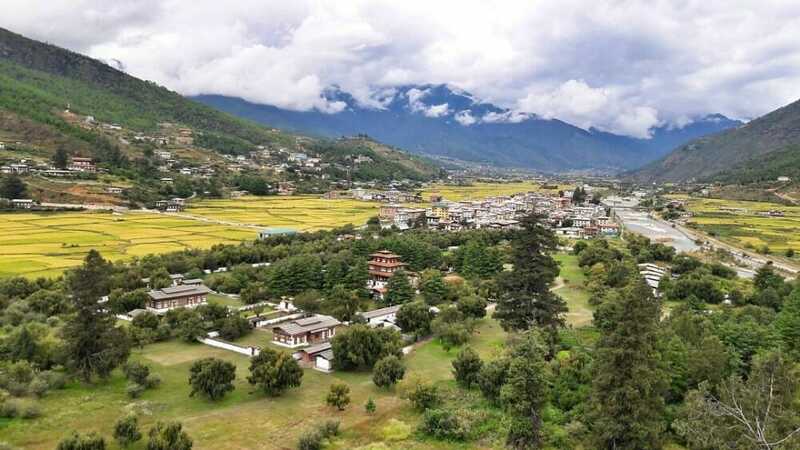 Catch the magnificent unblocked view of Thimphu city from this site. The last stop of today’s Bhutan excursion will be the Thimphu’s Memorial Chorten (Stupa). Be sure to walk around the stupa in a clock-wise direction and make your wish. It will come true! Get an early rest after this eventful 2nd day of your Bhutan travel. Wake up to Day 3 of your 8 Nights Bhutan Trip! Your Bhutan holiday is just starting to get warmed up. We will start our day with a 70-km (2.5 hours) drive to Punakha. On our way there, we will stop by an important Bhutan destination, the Dochula Pass. Here in Dochula Pass, you can admire the 108 memorial chortens (stupas) and enjoy the magnificent view of the Himalayan mountain peaks. Once we reach Punakha, we will check into our hotel and then proceed for a great local lunch. 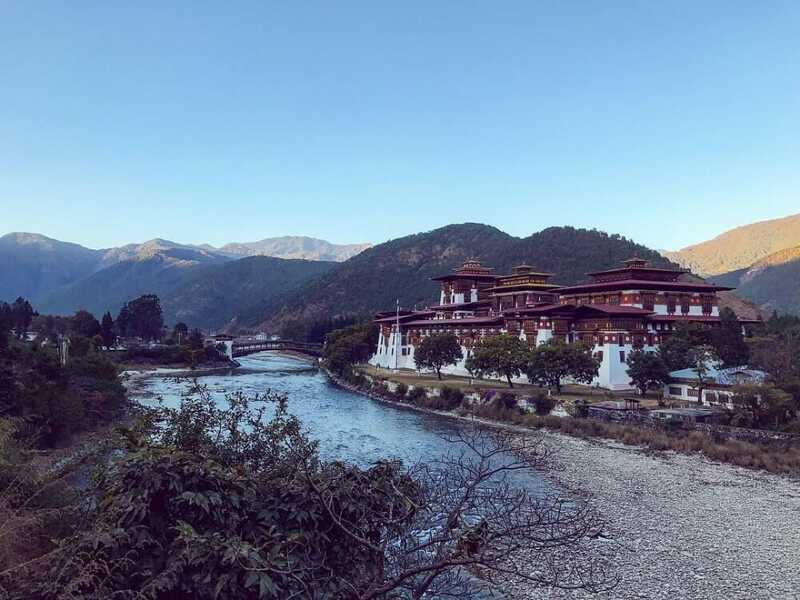 Our Bhutan expedition will continue with a trip to the must-visit 1637 Punakha Dzong. This Dzong is recognized as the second biggest and second oldest Dzong in Bhutan! That visit wraps up the third day of our Bhutan tour. Have a great night’s sleep on your one and only night in Punakha. Day number four of your 8 Nights Bhutan Trip. Your Bhutan vacation will hopefully attract a new friend today: the black-necked cranes! 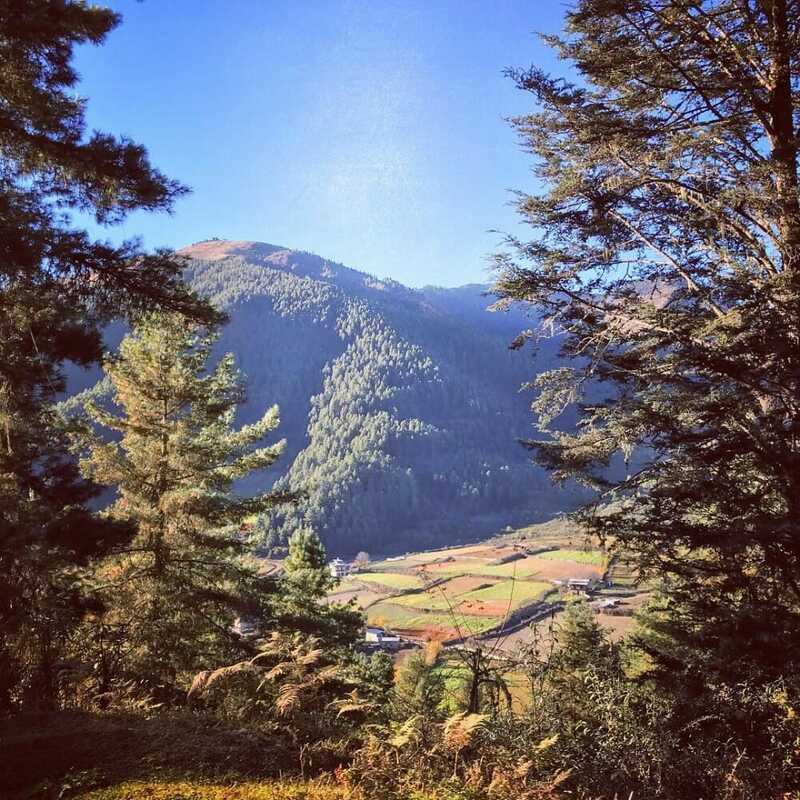 Take one last picture of Punakha as you take your 2-hour (65km) car ride to Phobjikha Valley. Your first stop at Phobjikha will be the Black-Necked Crane Information Centre. The star of this Bhutan destination would be the black-necked cranes. These elegant creatures would migrate here from Tibet every year during the winter months from October to February. The 4th night of your Bhutan holiday will be in a Phobjikha hotel. Sleep tight! Day five of your 8 Nights Bhutan Trip will kick off with a 5.5-hr drive to Paro. Today’s itinerary will be a relaxing and rejuvenating one. Once we reach Paro, we will check in at our special accommodation, a Paro Farmhouse. Explore in and around the farmhouse or you can choose to go for a complimentary Hot-stone bath. This simple yet effective activity can help to improve your joints and muscles aches as they use medicinal stones and herbs in the water. You will also be served traditional local snacks and drinks throughout your stay in the Farmhouse. Rest in the farmhouse for the night just like how the locals do. A great authentic Bhutanese experience throughout the day! Day six of your 8 Nights Bhutan Trip will involve exploring the exotic sides of Bhutan that not many really know. The Haa district has only been opened and exposed to tourists in the last couple of years. Our Bhutan exploration today will start with a drive to the Haa district for 2.5 hours (62 km). On our way to Haa, we’ll stop for a short 2-hour hike in and around Chele La Pass (3.8km elevation). Here, you will see many splendid sights such as rivers, waterfalls, forest and even yaks! Most importantly, you can see the 22,000 feet –high Mt. Jumolhari, Mt. Jitchu Drake, Paro Valley and Haa Valley. You will then continue your drive towards Haa. Once you reach Haa, you will visit the Lhakhang Karpo (White Chapel) which has the oldest paintings in the region. Your Bhutan journey in Haa will end with a good sleep at your Haa hotel. Day number seven of your 8 Nights Bhutan Trip will be all about Paro sightseeing tour. After your breakfast in Haa, we’ll embark on our drive to Paro. After our lunch, first on the Paro sightseeing tour schedule is Bhutan’s National Museum. Here, you can check out and examine many ancient artefacts that are essential to the Bhutanese culture. Located in the vicinity and just below the museum is the world-renowned Paro Rinpung Dzong. 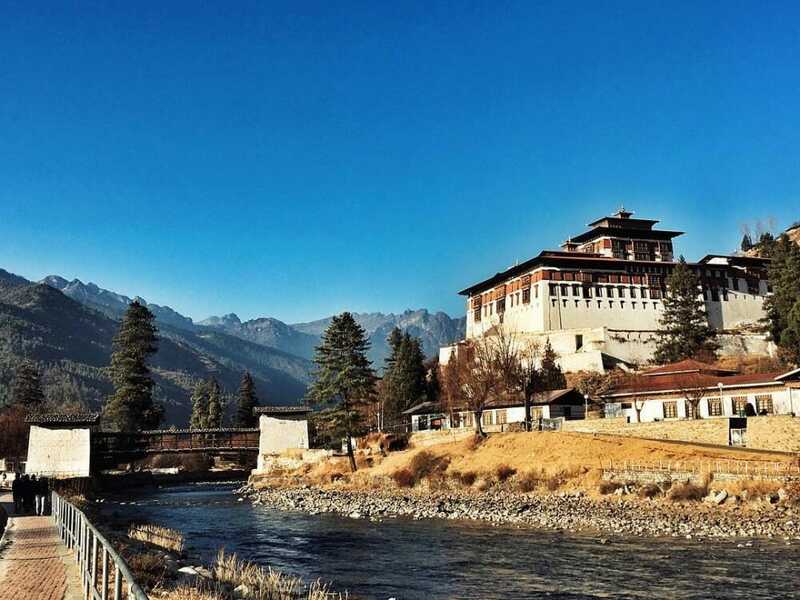 Take a stroll in the dzong, soak in the fascinating atmosphere and walk to the instagram-worthy cantilever bridge below the dzong. After our local lunch, we’ll visit the 7th century Kyichu Monastery. This is one of Bhutan’s oldest and most popular monasteries. You’ll have the chance to explore Paro town later in the day before wrapping up your Paro excursion. Your Bhutan itinerary will take a break at our Paro hotel tonight. Rest well for your ‘Big’ day tomorrow. Today is the 8th and most important day of your 8 Nights Bhutan Trip. This is the day where you will get the most value out of your Bhutan trip cost. No kidding! The first section of the Tiger’s Nest Temple trail can be done either on foot or a horse-back. On foot, it should take you between 1 and 1 ½ hours. Take your break at the midway cafeteria before continuing your Paro Taktsang hike. Although the second half of the hiking will take you a further 1 to 1 ½ hours to reach the Tiger’s Nest Temple, the path will be less uphill and less gruelling. The whole Tiger’s Nest trail hike, including the cafeteria break and temple activity, should take you between 4 to 5 hours. (Go through our Tiger’s Nest Temple Hike review to better prepare yourself). If you don’t have major mobility issues or medical conditions, do try to go all the way to the temple. It’s very unfortunate that some visitors give up at the halfway cafeteria the moment they could catch a glimpse of the temple from a distance. 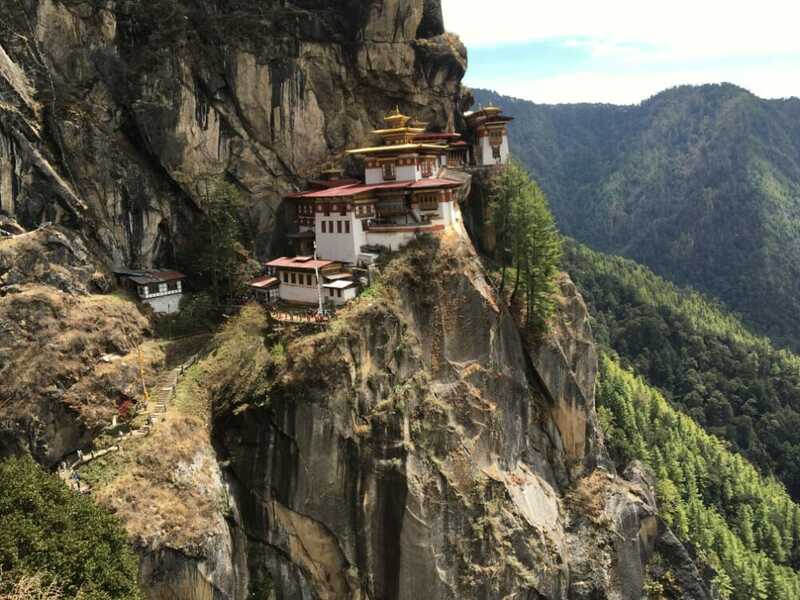 We believe hiking the Tiger’s Nest Temple trail is the highlight of any Bhutan’s holiday and trip, no matter how many times you have been to the kingdom. It’s something we can never get tired of. After the hike, you will be driven back to Paro town for some shopping, eating and relaxing. That wraps up the 8th day of your Bhutan vacation. Enjoy your very last night in the country before taking your leave tomorrow. This is the 9th and last day of your 9 Days 8 Nights Bhutan Trip with Phobjikha and Haa visits. Enjoy your last Bhutan’s clean air and peaceful atmosphere before your transfer to the airport for your flight home. We thank you for booking your Bhutan holiday with us through our 8 Nights Bhutan Trip Package. In time to come, we hope you will completely forget the tariffs and fees of your Bhutan vacation but not the memories, experience, and friendships. We shall meet again my dear friends. Note: The above are the additional rates per person per night on twin-sharing basis (2 persons in a room) for upgrade to 5-star hotels. Rates are inclusive 20 % taxes with breakfast. 15% discount on regular seasons (June, July, August, December, January, February) will be given for the months of June, July, August, December, January and February. For a group of 6 pax and above, we offer complimentary Cultural Program or a free hot stone bath. We will also offer a farewell dinner with complimentary drinks.